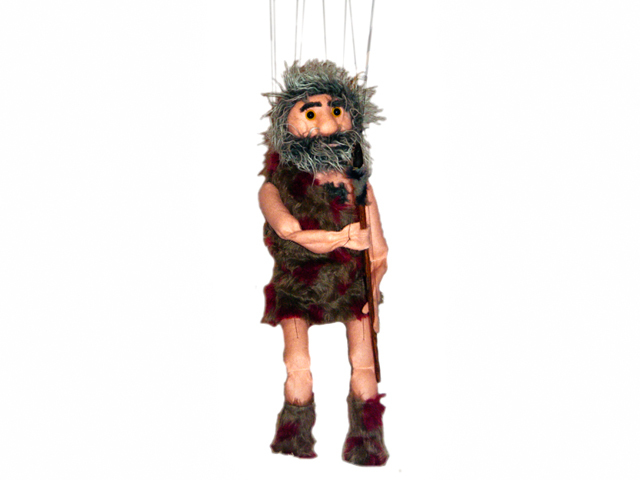 A simple, but an awesomely adorable marionette of a caveman. Made from felt, with mostly pillow stuffing, the head is carved foam covered in felt. Made for Randi Rain.